Indie game Pan-Pan offers players a world they desperately want to be in and then hampers their ability to enjoy it. The game’s take on exploration kept me pushing through frustrating puzzles. By the end of my journey, I’d worked through confusion all for the purpose of remaining in a fantasy paradise. 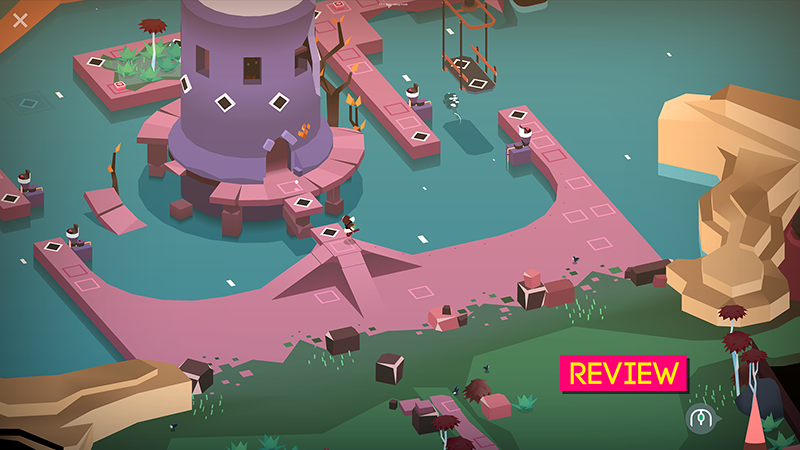 Pan-Pan is an exploration game for PC and Mac made by SPELKRAFT and published by Might and Delight. Crashing on a small island, you are left to rebuild what you can, connect with the locals, and explore a fascinating island. However, its sense of exploration is constantly put to the test by its various puzzles and quandaries. I’ll openly admit it: this game made me the angriest I’ve been since playing The Witness. The crux of Pan-Pan are puzzles that largely require placing the right widget in the correct sprocket. Drop a battery onto a circuit and then connect the charge to an end point by dropping boxes to carry the current. Find the right object to weight down a switch. The world wraps around this concept, often requiring you to leave some puzzles half complete in order to access additional areas. It can be disappointing to leave a puzzle behind, but the promise of new experience just around the corner helps. There’s a nice sense of mystery to Pan-Pan, an ever present desire to see more places and meet new people. I was overwhelmed at first. The world was full of unclear symbols and obscure pathways. In my initial thirty minutes with Pan-Pan I felt desperate, searching for a sense of direction that didn’t exist. You are dropped in with little knowledge and only begin to understand the game through trial and error. I stuck with it, learning the small idiosyncrasies that propelled me forward into a light but well-appreciated journey, but I can definitely see how this might alienate players from embarking through the game. The game itself is rather small and only took a few hours of total play time, but I encountered so many seemingly dead ends that I had to play in bursts to maintain my sanity. But as much as I wanted to walk away, there was something soothing about the strange island that my character had crashed in. Full of pastel colors and shifting topology, it demanded that I see every nook and cranny. The game feels like a storybook that you are free to walk around in; soft music plays in the background as you move from swamps to deserts, all bright and beautiful. After a while, it became clear that this enjoyment of my surroundings was the core ethos behind the puzzles. Careful observation and appreciation of my environment clued me into solutions. Looking at pillars a few rooms over might reveal the patterns needed. This may not seem distinct in a puzzle game; many environmental puzzle games ask players to hone in on such details. However, Pan-Pan lacks the veneer of smug cleverness that something like The Witness or even classics like Myst offer. In those games, players seem to be punished for failing to notice environmental cues. Pan-Pan requires environmental awareness to progress, but it feels more like an invitation to try harder than a judgement on your intellect. This invitation is what kept me from quitting. Each new area became a chance to find strange new friends or beautiful vistas. It became clear that the puzzles were only little victories. Bereft of mind blowing “Aha!” moments, they shifted into light curiosities after a time, even if the game offered little direction for how to tackle them. I was not here for the challenge. I was here for the world. Early on, you encounter a sleeping bird and her eggs. Nearby, a few switches require weights on them. Carefully, I snuck up to an egg and moved it away, but I moved too far. The mother bird leapt to life and started chasing me around. Placing eggs on switches became a race to see if I could move fast enough, the whole affair turning into a farce that really could have used some “Yakety Sax.” I want not alone on some arcane island or sterile intellectualist’s paradise. This was a place with characters. It was a place with heart. When all was said and done, I felt very pleased. Working through puzzles (and even brute forcing a few) occasionally made my head pound, but Pan-Pan made it very clear to me that challenges are temporary. But if you keep trying, push hard enough, and persevere? There’s a wonderful world waiting for you.